Acreage close to town in Punta Gorda is hard to come by. This beautiful piece of paradise will not last long. This parcel is 7.5 acres and loaded with Palmettos, Palms and Pine Trees. Plenty of room for your dream home, pond, Garage, Barn and more. 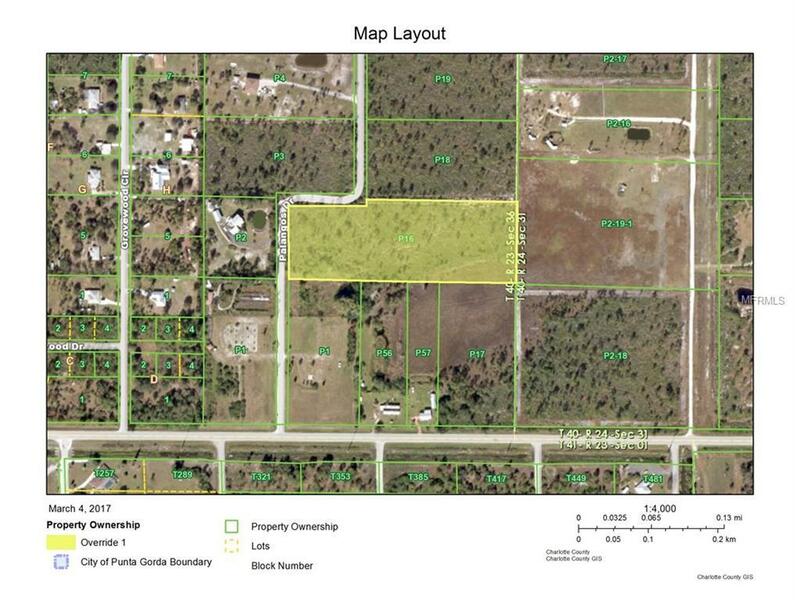 Seller also has a 5 acre parcel across the street available to be purchased together or separate. See MLS # A4180076. Well and Septic Required. Street is paved and located off Bermont Rd. Not in a scrub Jay zone. This land is close to shopping, restaurants, schools, parks, and Bayfront Health Hospital. Come explore the Farmers Markets downtown in the Historic District or take a bike ride down the Charlotte Harbor water front path, only minutes away from this property.Call agent for more information.